Shri Prabhat Kumar was the first Governor of Jharkhand. Before joining as Governor, he was at the highest Bureaucratic position of India. He was Cabinet Secretary for a span of Two and a half Years. From 1998-2000. A National leader with over 48 years contribution to nation building and having had the distinction of being the Chief of Army Staff and later Governor of Arunachal Pradesh. He is a distinguished international personality and a public speaker with vast experience. Dr.ShekharDutt was the Governor of Chhattisgarh for four and a half years since January 2010, in addition to being the Chancellor of eleven State Universities and visitor of six private universities. 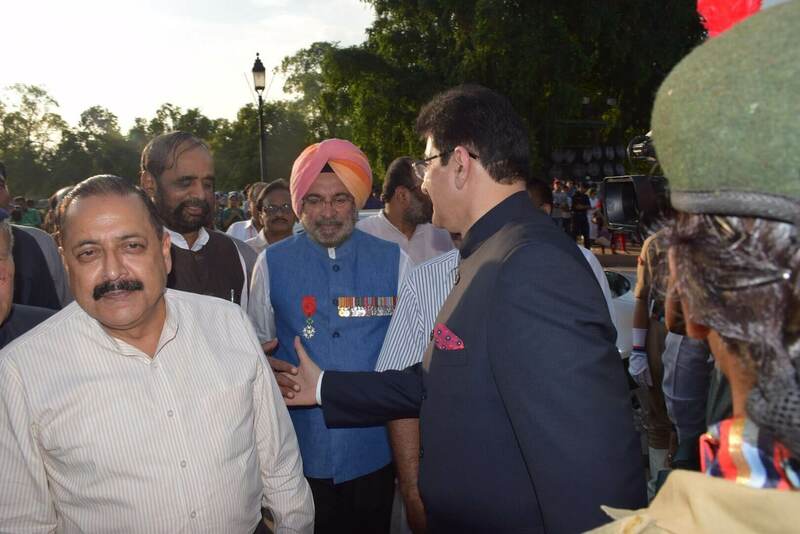 Before this, between 2007 & 2010, Shri Dutt also served as the Deputy National Security Advisor wherein he addressed the issues concerning Strategic Defence and National Security. Shri Nikhil Kumar was the Governor of two Indian States- Nagaland (2009-2013) and Kerala (2013-2014). He is an Indian police Officer and former parliamentarian from Bihar. He was the member of 14th Lok Sabha representing Aurangabad Constituency (2004-2009). A very distinguished police officer of the country with an excellent track record for combatting terrorism/ insurgency in the most turbulent theatres of the country- Nagaland, Assam, Punjab, J&K, and (in the Terai area of) Uttar Pradesh. He was Police Chief of two of the largest states of India – Uttar Pradesh and Assam, and also commanded India’s Border Security Force. He was also the Director General of Border Security Force. Shashank; a 1966 batch Indian Foreign Service Officer who served as India’s Foreign Secretary. During his long diplomatic career, he served as Secretary (Europe, Africa and America) in the MEA. Shashank has held postings in a host of countries including Pakistan, Denmark, South Korea, Libya, Egypt, Vietnam, Brazil, and in India's Permanent Mission at the UN. He also served in various capacities in the Ministry of External Affairs and was Secretary (Economic Relations) before becoming Secretary (Europe, Africa and America).Shashank was actively involved in energising the ASEAN-India relations resulting in great summits.